They say you can’t believe everything you see on the internet. 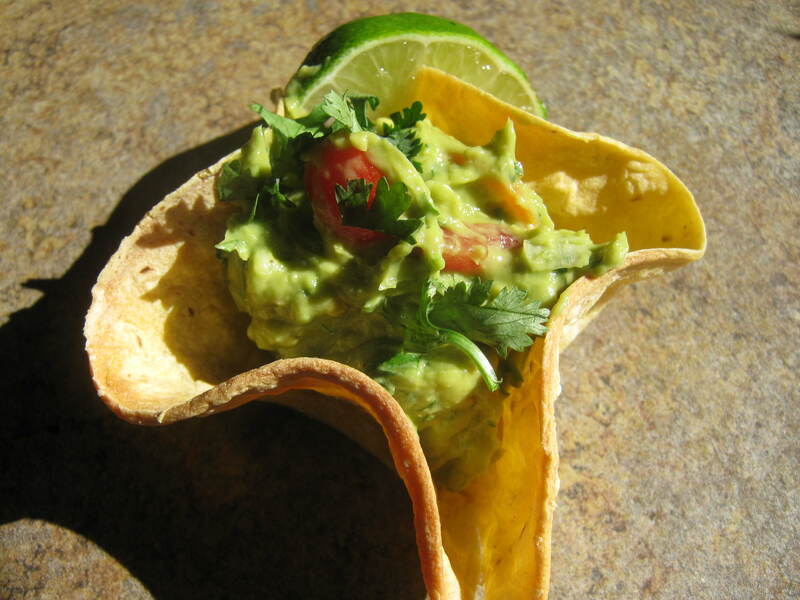 While that’s true, these little taco shells are completely believable! I saw a photo of these and thought I’d give it a try, and they couldn’t have been easier! 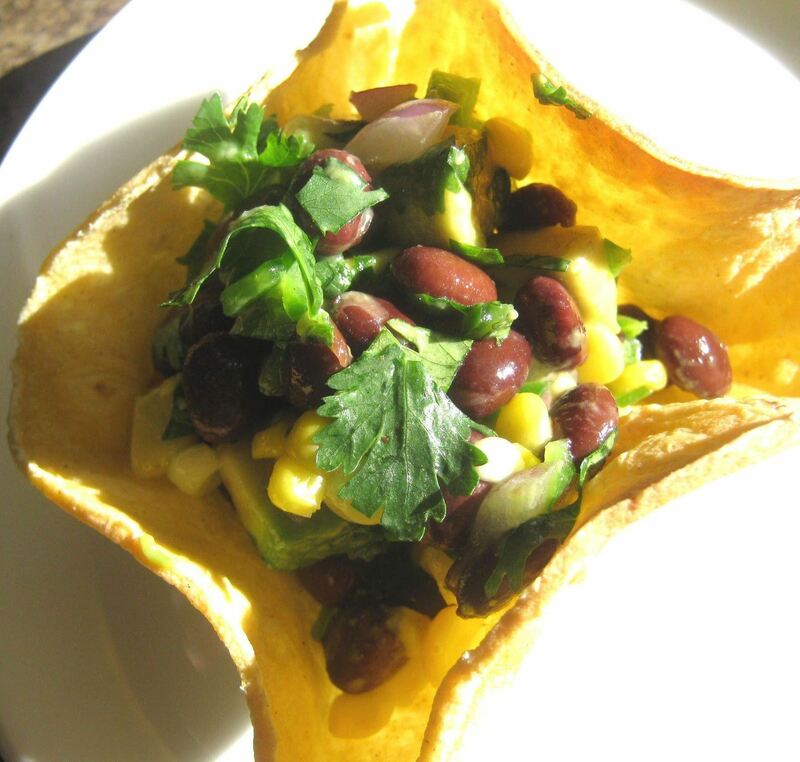 Impress your dinner guests with these serving bowls for side salads, taco salads, or guacamole. 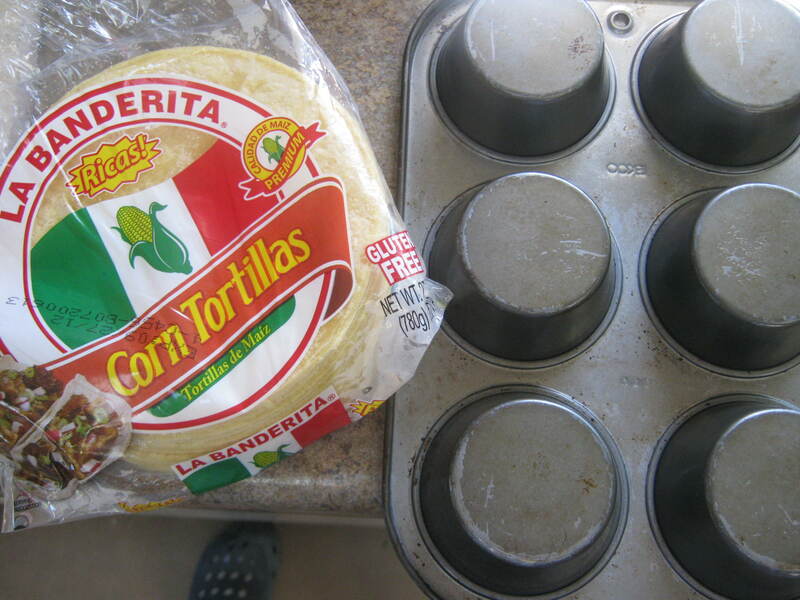 All you need are some corn tortillas and muffin tins. 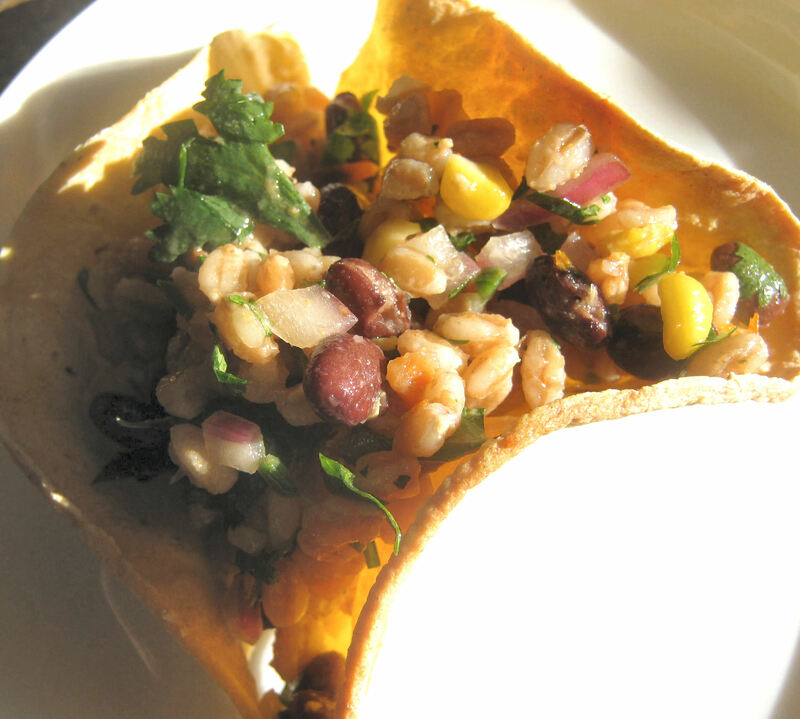 You can use yellow or white corn tortillas (I used yellow here), but don’t use flour tortillas. Save those for quesadillas and fajitas. 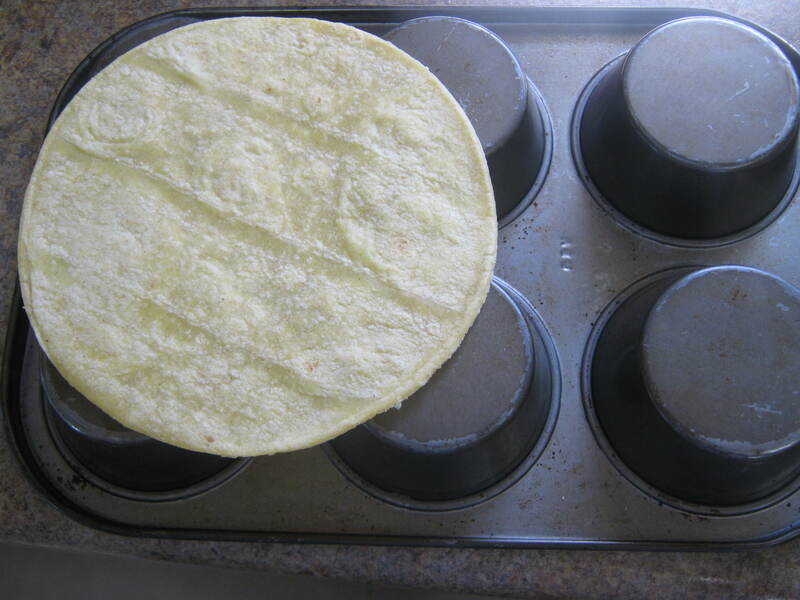 Turn the muffin tin upside down and place a tortilla over the tin so its middle is centered over the gap between the cups. Place another tortilla over the next gap (it’s okay if they overlap a bit), and gently press down in the center of each tortilla. 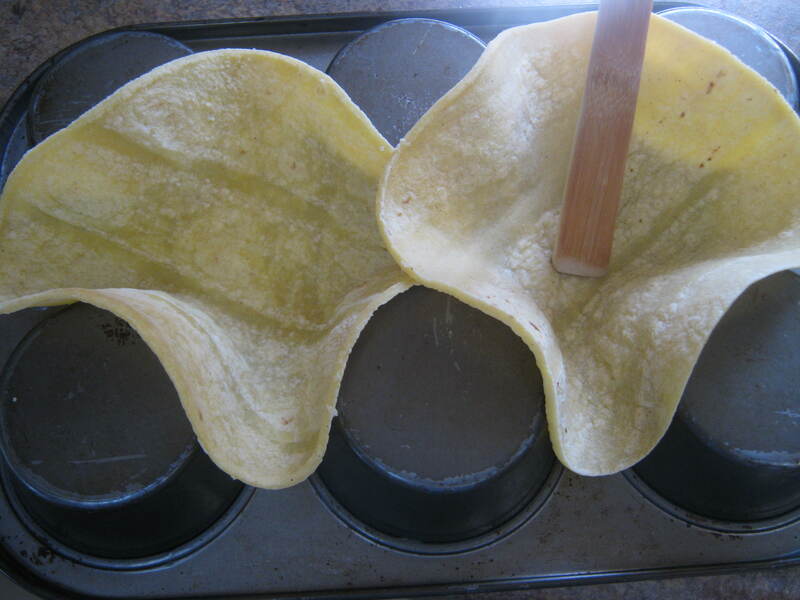 Give them a light spritz of cooking spray (optional, but they will crisp up faster with it), and bake at 375 for 8-10 minutes. Take them out of the oven and let cool. Use as an edible bowl for just about any side dish or salad. Enjoy! Wish I could claim it as on original idea, but still, they’re fun to make. 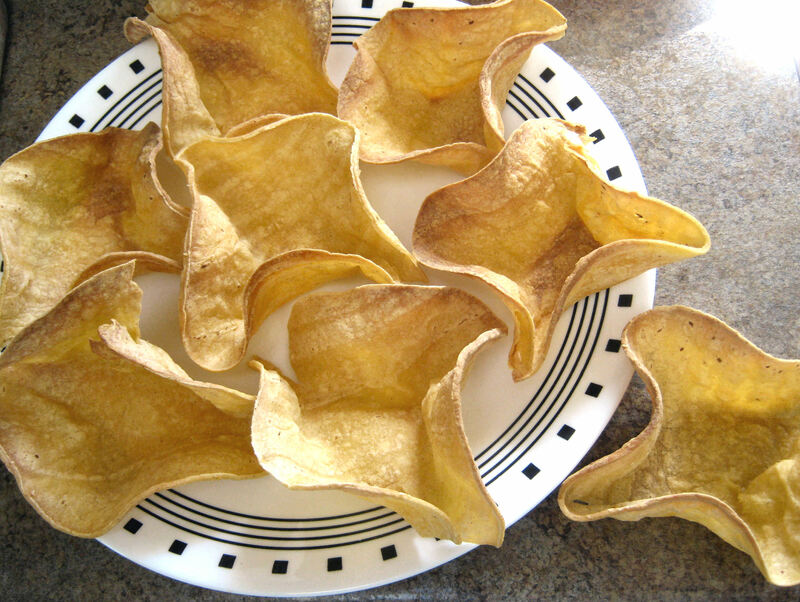 Just make sure they are really crisp all the way through when you take them out. Have fun! I tried these tonight for a quick dinner and they were delicious!! They were a real hit with my family!! Thanks for the quick tip! !